Experts have been fooled by this tight growing evergreen thinking it's a slow growing Hinoki Cypress. 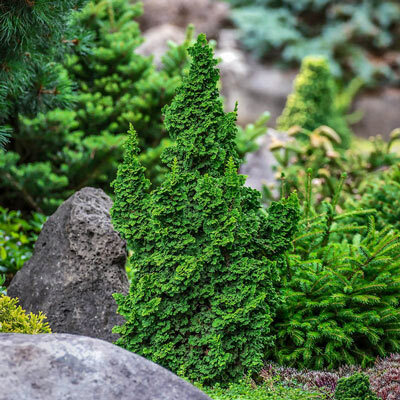 It's rich, deep green summer color, textural foliage and sculpted shape make this new selection a breakthrough for Arborvitae. 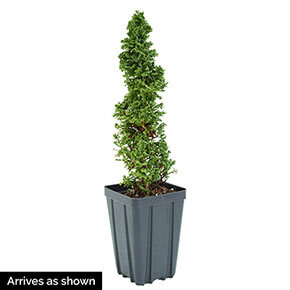 The perfect proportions for mini landscapes or container gardening. Foliage Type: Bright golden spring foliage and deep red fall color. Evergreen. Pruning: Maintain compact, rounded form without pruning. Soil Requirement: Will tolerate any soil type just need to be well-drained soil. Watering Requirement: Water regulary to establish a deep, extensive root system.